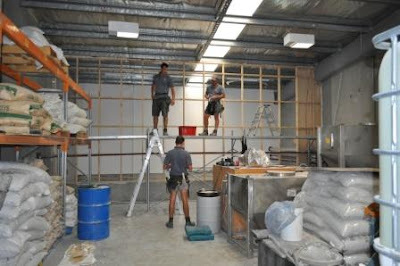 Kiwicare is now operational and has begun production again following last week's quake. Internet and email communication has been restored and orders can be received as normal. A great effort by staff and service providers. It is one week since the quake. At 12.51, the time the quake struck last week, two minutes silence and reflection was observed by the staff of Kiwicare. We remember that we are luckier than many others. Some have lost lives and loved ones, some have lost homes, some have lost jobs and possessions. I am inspired by the people and the spirit of Christchurch and New Zealand. As an immigrant, I have once again been impressed by the speed and efficiency of the clean up and the restoration of 'normal' services around the city. That is not to say that there is still not a huge amount to do, but with the help and good will that is poring in from around New Zealand and around the world the city will, like a 'Pheonix from the flame' rise from the liquefaction mud bigger, brighter and better than ever before. 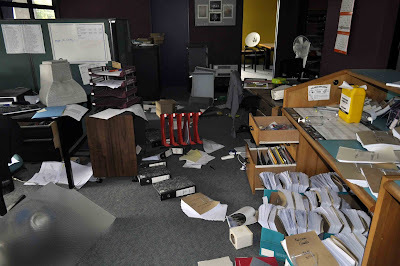 The fantastic team at Kiwicare turned up to work this morning in full force following Tuesday's earthquake in Canterbury. Service providers worked tirelessly to get our power, water, phones and fax up and running today; internet and emails are expected to be working tomorrow. Deliveries are already being sent out from the factory, our Auckland distribution centre has, of course, been unaffected. With a full team, the factory and offices have largely been tidied ready for recommencing production on Wednesday or even earlier. One of the first products on our list for production is Racasan Sanitary Fluid for use in portable toilets and for sterilizing surfaces. 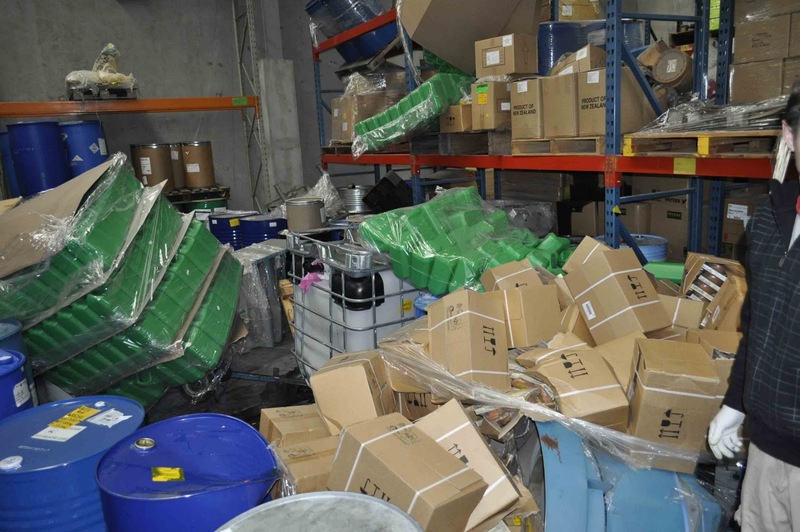 It will be produced and sent out for use in many of the thousands of portable and chemical toilets being used in the affected parts of Christchurch. Kiwicare has also offered donation of NO Germs Hand Sanitiser in an effort to prevent diseases, such as gastroenteritis, spreading as people in the city must clean either without water or with water possibly contaminated with sewerage. Thank you to all our customers for your patience. If you need to make any urgent orders and are not sure that normal service is available please contact us at any of the numbers found here. The Kiwcare factory and offices in Bromley, Christchurch were given the all clear by structural engineers yesterday and the clear up has begun. 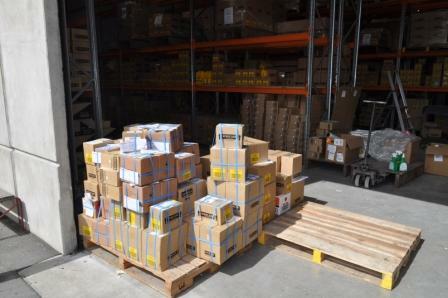 Good progress was made by the team at the factory and our first delivery since Tuesday's quake was sent out. Although power, water and phones are not yet reconnected it is hoped that these services will be available early next week. Temporary power helped us confirm that our server and computer network is un-damaged and as soon as phone lines are restored we expect to be able to take orders as normal. Many of the staff at Kiwicare have suffered great damage to their homes and the homes of their families. 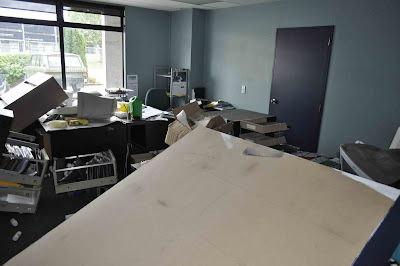 It is a testament to the spirit of the Kiwicare team that so many people have turned up at work to help in the clear up and the process of getting the business running fully again. Thank you to all our friends and customers for your good wishes and patience. Normal service will be resumed as soon as possible. The factory and head office of Kiwicare is located in Bromley, a suburb in the hard hit eastern part of Christchurch. I am happy to report that all the staff and workers at the factory were uninjured apart from small cuts and bruises. The factory and offices are all still standing and largely undamaged. However, the quake ejected goods and materials from racking, shelves and cabinets. 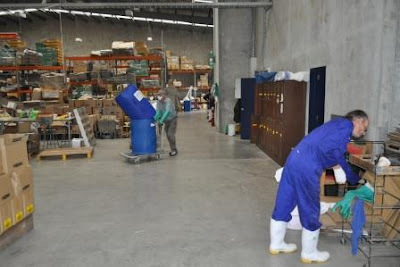 Those staff able to get to the factory yesterday made spills safe and prepared the premises for the clear up. It is not clear at the moment when we will be able to get into the buildings in force to clean up and get back to distributing and manufacturing. There is currently no power, water, sewerage or communications (other than cell phones), to the area and we expect it will be days and maybe weeks before some of these services are repaired. Some of the goods to be cleared up. All racking survived well but many pallets bounced off on to the floor. Thank you to all that have sent good wishes. We wish all the people of Christchurch good luck. We will be back. In late summer and autumn wasp numbers are at their highest. 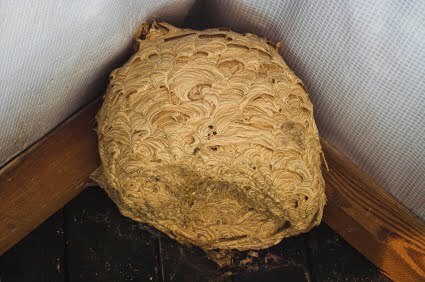 It is normal for people to be bothered by more wasps and find more wasp nests in the months of March and April (in New Zealand). As mentioned in my recent blog on the affect of the La Niña weather pattern on insect numbers the wasp boom has come early this year. As you can see from this chart, the numbers of enquiries tot he Kiwicare website are still rising and are far above the peak of last year already. The German Wasp and Common Wasp are the main pest wasps in New Zealand, but the Asian Paper Wasp can also rise to considerable numbers in the North Island. Nests - The nests of German and Common wasps generally have only one entrance/exit. If this can be identified the colony can be destroyed by sprinkling or puffing the apicide NO Wasps Dust or NO Insects Carbaryl 80 into the entrance. The workers will then pick up the dust as they enter the nest and take it inside where it will kill larvae and queens. Great care should be taken in treating the entrance to a nest as there is a risk of being stung. It may be advisable to do this operation at night when there is no wasp activity. In some cases a nest may be in a difficult to reach situation where powder cannot be applied to the nest entrance. NO Bugs Bug Bombs or NO Bugs Borafume fumigators can often be used in sheds and roof voids to destroy wasp colonies safely and without need to access the nest entrance. If the nest site cannot be found it is possible to reduce wasp numbers (and maybe kill a whole colony) using NO Wasp Bait Concentrate mixed with a suitable bait such as sugar* or canned fish. NO Wasps Trigger sprays are useful to treat around rubbish bins and other areas where wasps are attracted. *Caution: Where there is a risk of attracting bees to the bait, sugar and syrup baits should not be used. In such risk areas use canned fish, raw meat, carrion or fish skeletons as an attractant and spray with water based mix described above. Fix the bait inside an inverted can and suspend from a suitable tree. Respray every 2-3 days. Honey bee swarms - if you find a large 'clump' of bees, hanging from a branch or the side of your house, this is likely to be a bee swarm. This is a queen with her new colony looking for a place to build a nest. Contact you local beekeeper (see the National Beekeepers Association swarm collection contact list) and he/she will try and collect the swarm without harming it for use in honey production. The swarm may move on of its own accord within a day or two. Note: Honey bees are generally not aggressive while swarming. A man walks down a street, and enters a shop. He spends a few minutes browsing round the shop, and then apporaches the check-out desk. "Hello", he says, "I would like a dead wasp, please". The shopkeeper replies "I beg your pardon sir? This is a Pharmacy - we only sell medicines and bathroom products". The man says "Yes, I know this is a Pharmacy. However, I would like to buy a dead wasp". The shopkeeper is a little confused "Sir, this is a Pharmacy. We DO NOT sell dead wasps." The man replies: "So why have you got one in the window then?!" 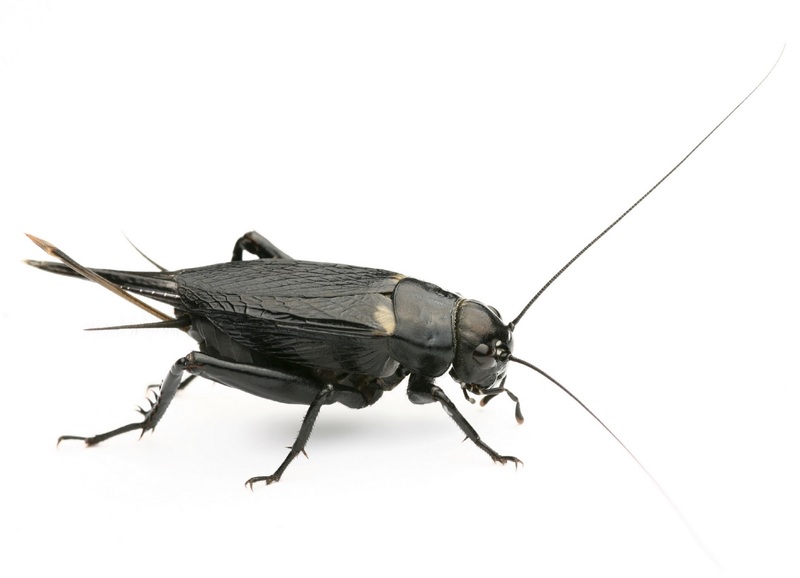 I have been rather shocked watching tonight's TV3's Target program showing pest controllers dealing (or not dealing) with flea problems. The weather this year is particularly suitable for flea breeding and many people and their pets are suffering from these parasitic, biting, blood sucking insects. The only thing that makes some of these people professionals is the fact that they take money from the customer. Do it yourself and do it properly! Why did the flea fail his exams? He wasn’t up to scratch!